TASMANIA’S Liberal Government has scrapped controversial plans to restore the right of companies to sue for defamation. The proposed law change attracted a national backlash and the Liberals’ subsequent backdown has been hailed as a big win for free speech. 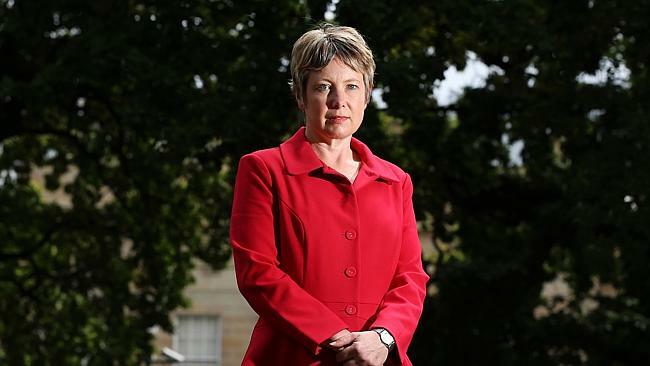 In an exclusive interview yesterday, Attorney-General Vanessa Goodwin said a lack of support from interstate counterparts, public concern and the Mercury and Sunday Tasmanian’s concerted campaign on the issue were key reasons behind the Government’s decision to abandon the laws. “There isn’t really any appetite to change the law from my state and territory colleagues,’’ Dr Goodwin said. “So, bearing that in mind and having listened to the concerns of community stakeholders, we’ve decided we won’t be proceeding. Wide-ranging concerns raised included the potential for corporations to shut down public scrutiny and discussion via defamation action; the pot­ential for corporations outside of Tasmania to use this state to take action against stories published online; and the fact corporations can already sue for injurious falsehood if bogus claims cause it to suffer loss. Media Entertainment and Arts Alliance federal secretary Christopher Warren, whose union represents journalists, was thrilled to learn of the Government’s change of heart. “It is a great, sensible result. It will mean that the very important step we made to get uniform laws remains intact. It’s a great step forward for free speech,” Mr Warren said. Dr Goodwin said that as Tasmania had signed an agreement in 2005 for uniform ­national defamation laws, in order to go it alone, the State Government would have to convince other states of the need for a change. But other attorneys-general wouldn’t have a bar of it — a situation Dr Goodwin ­described as a “reality check” that killed any chance of state-based laws. “We wanted to protect Tasmanian businesses against false and misleading campaigns. We wanted to protect Tasmanian jobs, and that’s what this policy was all about,’’ she said. Dr Goodwin acknowledged the backdown was a broken promise but said it proved the Government had listened. “I would hope that the community and stakeholders would recognise that we are a Government that listens and that we are pragmatic and that where there is the significant concern raised about a policy and there isn’t broad consensus in terms of support for a policy that we wouldn’t pursue it,” she said. The pledge to restore the right of companies to sue for defamation had been part of a suite of election promises made by the Liberals to help rebuild the forest industry. The business at the centre of the Government’s justification for the laws was timber veneer manufacturer Ta Ann. Ta Ann was the target of an international campaign against its logging practices, a campaign the Government says led to the loss of 40 jobs. As reported exclusively by the Mercury on January 6, the Government remained intent on pursuing a policy that was beginning to raise alarm bells in the legal community. The Liberals’ determination to push ahead with the laws sparked a national backlash, with uni lawyers groups, environmentalists, high-profile media personalities and Australia’s Human Rights Commissioner warning the idea was a big mistake.